You’ll love this breezy tank for balmy days. 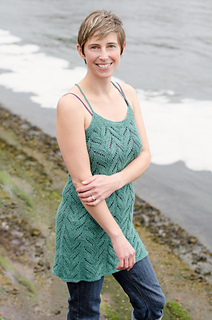 The delicate lace pattern is is intuitive and fun to knit, and the top-down seamless construction makes it a quick project. 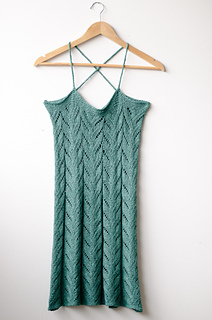 Line it with a tank top, or wear it as a swim suit coverup while lounging in the sun. 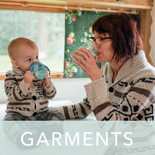 You have two versions to choose from: an elegant tunic, and a shorter version with a wide and breezy hem. Criss-crossed straps give a comfortable, secure fit.